Have you ever wondered what it's like to be bitten by a zombie or live through a bioweapon attack? 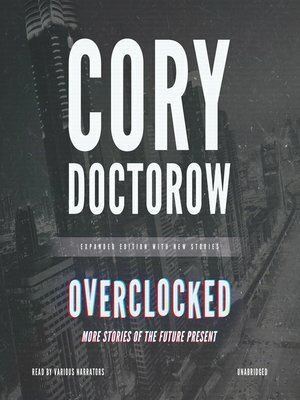 In Cory Doctorow's collection of novellas, he wields his formidable experience in technology and computing to give us mind-bending sci-fi tales that explore the possibilities of information technology—and its various uses—run amok. "Anda's Game" is a spin on the bizarre new phenomenon of "cyber sweatshops," in which people are paid very low wages to play online games all day in order to generate in-game wealth, which can be converted into actual money. Another tale tells of the heroic exploits of "sysadmins"—systems administrators—as they defend the cyberworld, and hence the world at large, from worms and bioweapons. And yes, there is a story about zombies too. Plus, for the first time, this collection includes "Petard" and "The Man Who Sold the Moon."